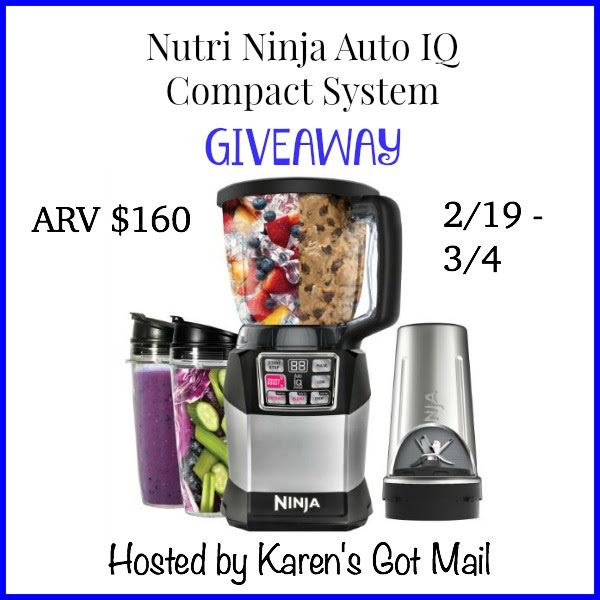 You can purchase the Nutri Ninja Auto-iQ Pro Compact System on the Ninja website for $160. You can also check out some of their incredible other products. Open to the Continental US only, ages 18 and up. Ends 03/04/16 at 11:59 PM ET. Next post: We are still building snowmen with Frozen! My favorite is how easy it will be to whip up delicious healthy smoothies. I love the suction cup feet because I’m so accident-prone. It’s a great idea! I love the combination of blender and food processor. Love making smoothies, so def love that feature to blend it all up!! I like blending up frozen ingredients with a touch of a button. That 1100 Watt motor is pretty impressive. I ‘d love whipping up delicious smoothies with it. I like the Smooth Boost Blend. You can step up the smoothness and whip up your frozen ingredients for ultra-creamy results.